Phospholipids are important compounds found in the structure of all cell membranes. 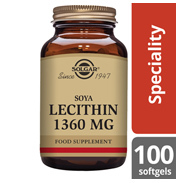 Lecithin, an important source of these phospholipids is needed by every living cell in the human body. Cell membranes that regulate which nutrients may leave or enter a cell are largely composed of lecithin. Without this, a cell membrane would harden. The cell’s membrane offers protection from damage from oxidation. Interestingly, the protective sheaths surrounding the brain and nerve cells contain phospholipids as found in lecithin. Additionally, muscles and nerve cells also contain thus essential fatty substance. Lecithin is a rich source of the B vitamins, especially choline and can be found in high concentrations in soybeans and egg yolks. Although it is a fatty substance it acts as an emulsifying agent, assisting in the breakdown of fats/cholesterol. It enables fats to be dispersed in water and removed from the body. It is mostly a mixture of glycolipids, triglycerides, and phospholipids. Lecithin is commercially available in high purity as a food supplement and for medical uses. 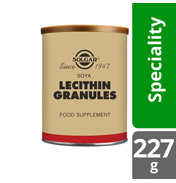 Solgar’s selection of lecithin derivatives is available in two dosage forms: a granulated form to be mixed with shakes or sprinkled on foods and easy to swallow softgels. Check out their Lecithin Soya, and Phosphatidyl Choline for instance.